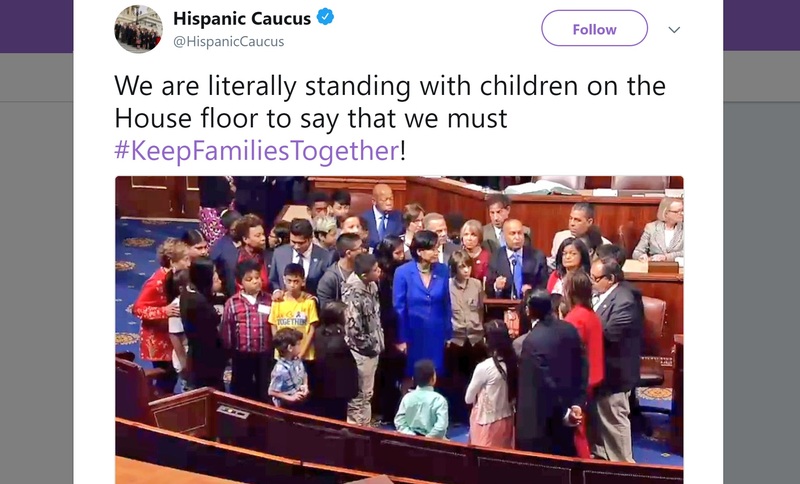 Democratic lawmakers on Wednesday were joined by more than 20 children on the House floor as they delivered speeches calling for an end to the Trump administration’s policy of separating children from their families at the border. “I think more powerful than anything I could say is to stand with children,” Rep. Luis Gutiérrez (D-Ill.) said. Attorney General Jeff Sessions began implementing its “zero tolerance” policy last month, which has led to more than 2,000 children being detained separately from their parents, according to The Associated Press. Thirteen GOP senators sent a letter to Sessions asking that he pause the practice while Congress works on legislation. Democratic lawmakers have rallied together to back legislation from Sen. Dianne Feinstein (D-Calif.) aimed at preventing families from being separated.